How can you be intentional about your growth so that you may invest in and add value to others? Isn’t one of the most satisfying things seeing the success and growth of those you invested in at one point? 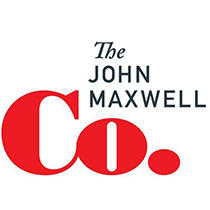 John Maxwell explains in The 15 Invaluable Laws of Growth that by growing yourself, you’re enabled to grow others. However, even when you are generous with your knowledge and skill, you must be intentional in your efforts to add value to others. Positive qualities we possess can be multiplied when we cultivate an attitude of contribution. Something we know and believe is that no one succeeds alone. It is our calling to pass along the development and influence we have received over our lifetime. In paying it forward, we can multiply our efforts, trusting that those we lead will also work to grow others. When you think of successes in your life, what do you remember? Likely you remember the people with whom you shared those wins. People are a huge part of our lives, and as leaders, our actions impact so many. By building our people up and putting them first, we show that they are valuable and worthy of great growth. So many people pride themselves in what they own. This doesn’t bring joy or benefit to anyone. Instead, we must let go of what we have and give it to others. Time, attention, money and resources – all can benefit others in great ways. Although we consistently benefit from others, we can’t become indebted to them. When we are “owned” by others, we don’t have the chance to give what and when we want. Instead, we must aim to be on the giving side of every relationship. So often people sow with the expectation of quick returns and are disappointed when that is not the case. Instead, we must sow and be prepared to wait for the harvest in due time. During that time, take a step back and recognize the immense impact you have on others. That is the true reason for living. By focusing on self-development, we ultimately show that growing ourselves allows us to grow others. Regardless of our situation, we can always grow ourselves. Take advantage of every opportunity for self-development. We can’t hit plateaus and be complacent with where we are. We must play to win, rather than playing not to lose. Rising leaders want to learn from those who are leading themselves well. That leadership begins with intentional growth. Overall, we must apply these 7 tips to our daily lives to pursue growth so that we may invest in others. Giving of ourselves leads to the most rewarding harvest: leaders who attribute their growth and success to our dedication to development. Today, write down how you can be intentional with your growth. Which of these 7 tips must you commit to in order to contribute to others?